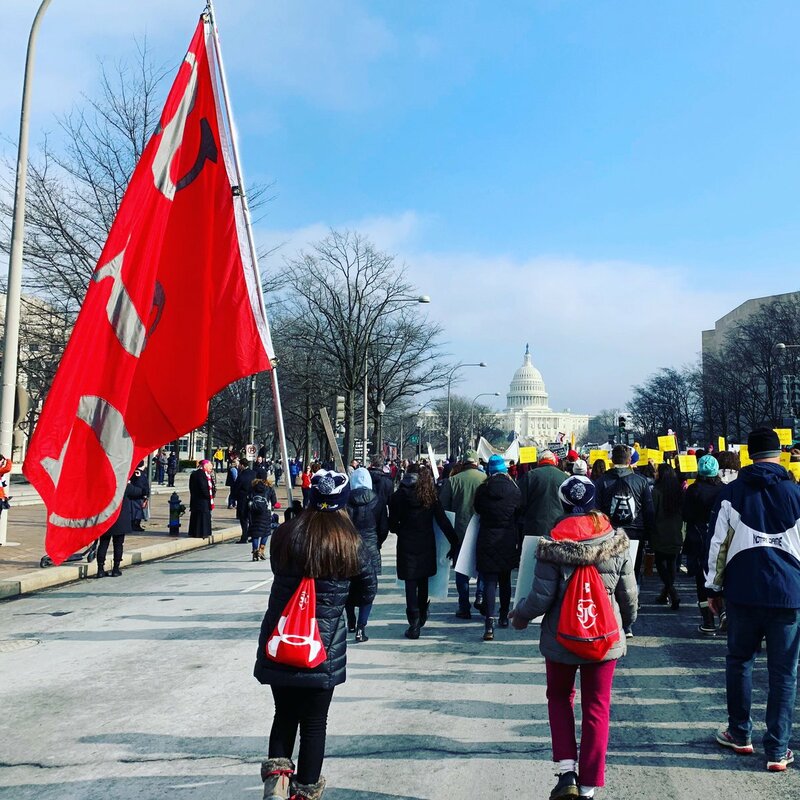 Washington, DC – More than 300 Lasallian students, along with accompanying educators/chaperones, from 14 ministries traveled to the nation’s capitol for the annual March for Life, January 18, 2019. In its 46th year, The March for Life Rally took place at noon at 12th St. on the National Mall, in between Madison Drive and Jefferson Drive. Following the Rally, the March traveled down Constitution Avenue between 12th and 14th Streets at 1:00 pm. With groups from Lasallian schools from all over RELAN, it was a great opportunity to gather together in Washington, DC. Special thanks to St. John’s College High School for being a gracious host to the Lasallians that gathered for the Rally and March, subsequent dinner and prayer, and even overnight accommodations at 2607 Military Road, and a very special thanks to Brother Paul Avvento, FSC, for acting as coordinator/point person for our Lasallians. Check back for more photos and quotes from students! A great display of Lasallian brotherhood! 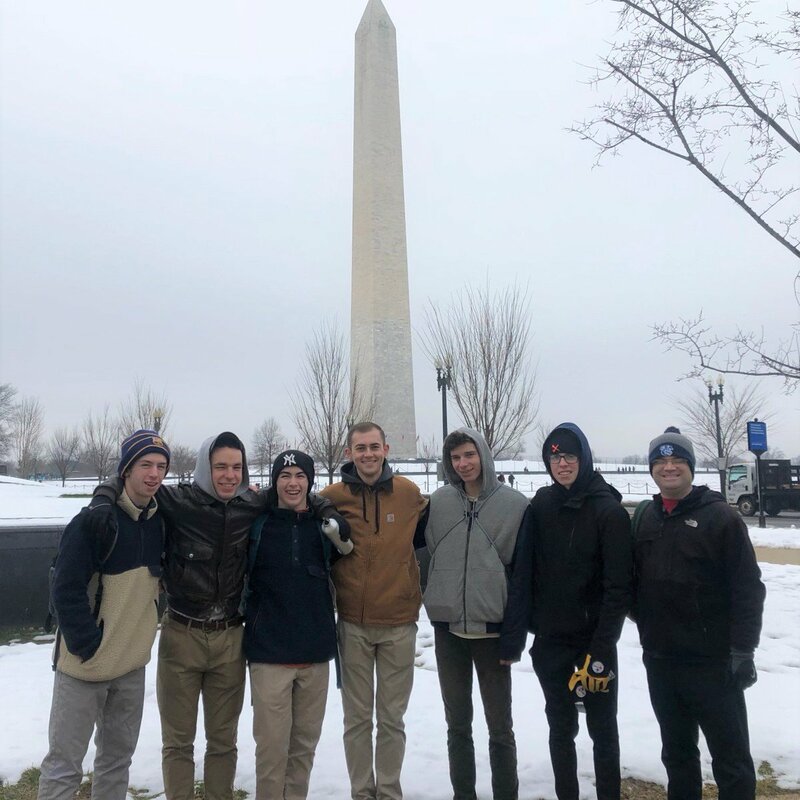 Nearly 300 students from 12 Lasallian schools, some traveling from as far as Florida & Minnesota, joined six CBA students in Washington, D.C. last Friday for the 46th annual March for Life. 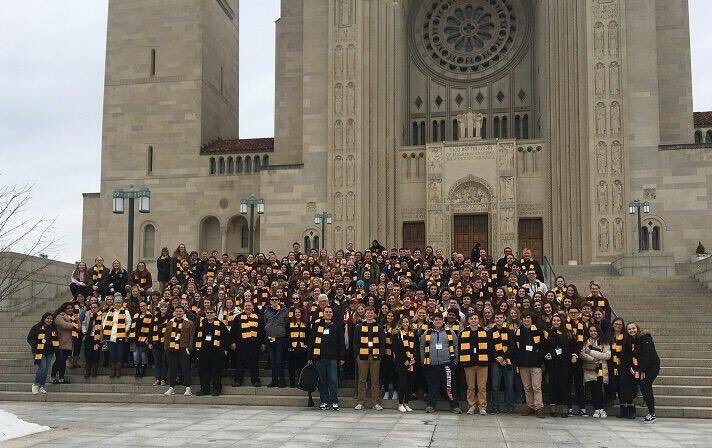 Great group of students and faculty members representing the Diocese of Joliet at the 2019 March for Life! Please keep them in your prayers. May God grant them a safe return this weekend. The SJC contingent heads toward the Capitol during today’s March for Life.